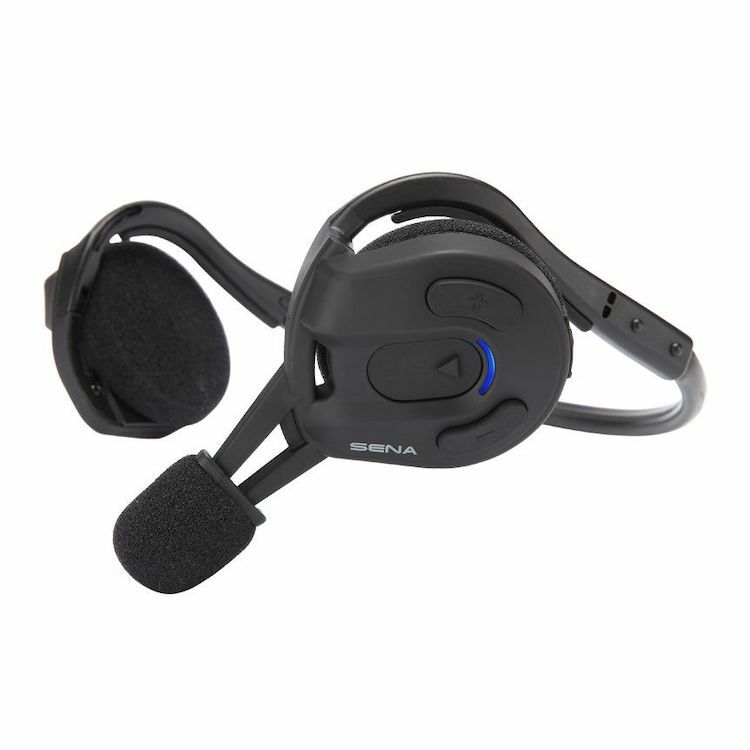 This Sena EXPAND Long Range Bluetooth Neckband Communication System was designed to give you a stable, secure fit for pretty much any kind of situation you might want to use it in—from headset-to-headset intercom duty, to Bluetooth hands-free calling, staying in touch with your companions in the great outdoors, or playing your favorite tunes from an MP3 player, you’ll always enjoy natural, crystal-clear sound quality. Bluetooth music playback is controlled by Playback Control, and the sound is automatically boosted when operating in noisy environments. Built to be water and sweat resistant, you won’t have to think twice about keeping your Expand headset on your head as the weather rolls in. Bluetooth 3.0 technology provides the capability to listen to and share music, make phone calls, and participate in a four-way intercom conversation at a 900-meter (980 yards) range. Advanced Noise Control ensures noisy outside environments won’t interfere with use, and each audio source has its own volume level, which you can set to your preference. Meanwhile, integrated voice prompts will assist you with set-up and operation. Even if your companions don’t use Sena gear, Expand uses the Universal Intercom protocol, which makes your gear compatible with their gear, regardless of brand. Bought for use in out UTV! Works well, but the UTV is very noisy and competes with the headset. Still, works well! A suggestion for SENA. Produce an en expensive clip on passive noise ear cup thing similar to what you can buy everywhere for lawn mowing, etc. Clip it on and it would turn sound quality from good to excellent, simply by cheaply attenuating loud outside noise like from an UTV. We use them for bicycling, kayaking, hiking, hunting -all EXCELLENT! If they could only cheaply add some good passive noise reduction!